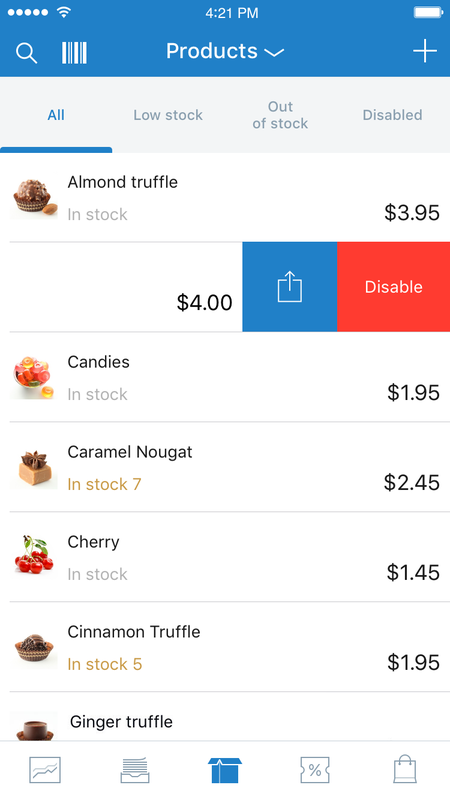 Fulfill orders, add products, manage inventory, accept payments (coming soon for Android) and more, all from your mobile device. 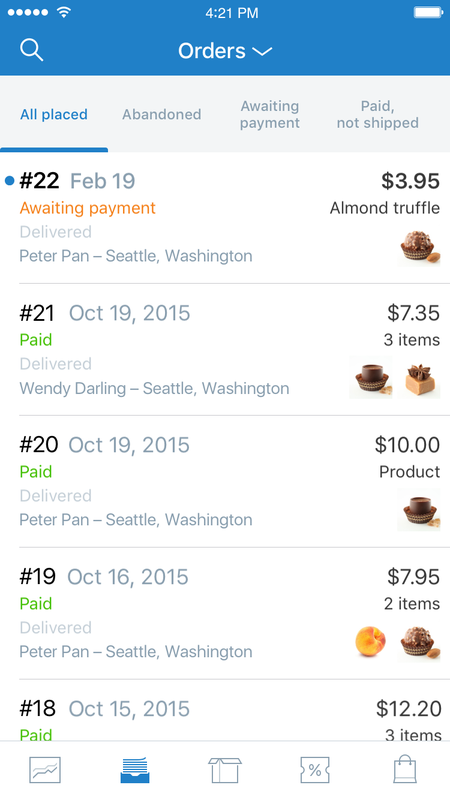 Update the status or fulfill an order on the go, with just a few taps. 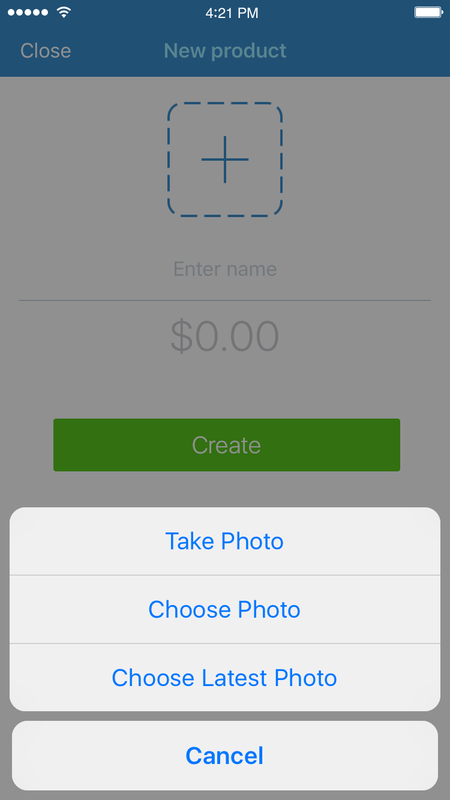 Snap a quick photo of your product and upload it in a matter of seconds. 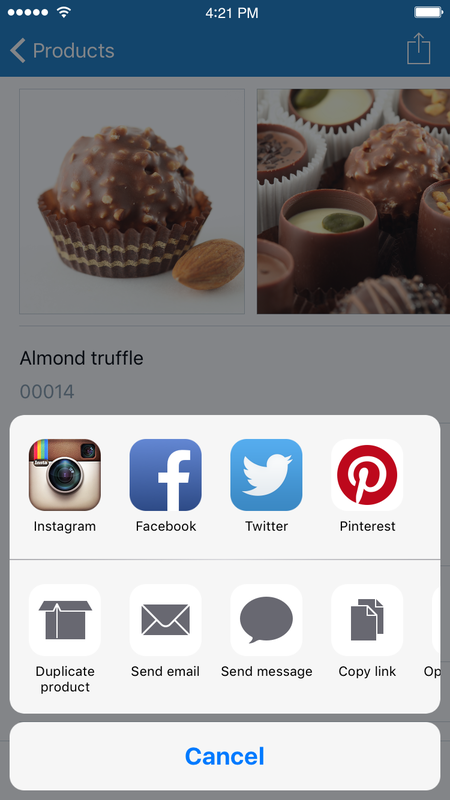 Easily share your products on Facebook and Instagram — so you can promote your business at any time. Update product names, prices and descriptions so your customers are always shopping your latest products. 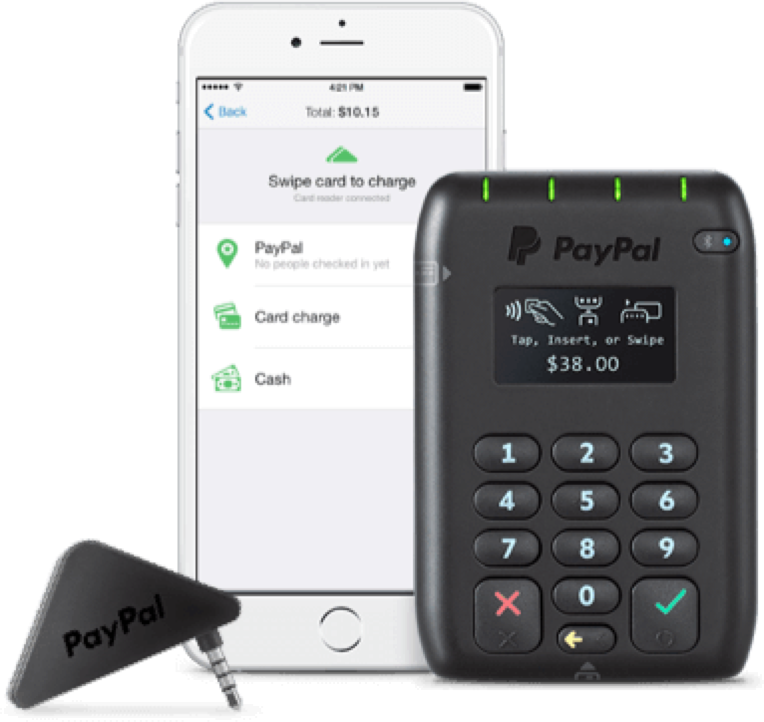 Receive a push notification any time an order is placed or a payment has been accepted. 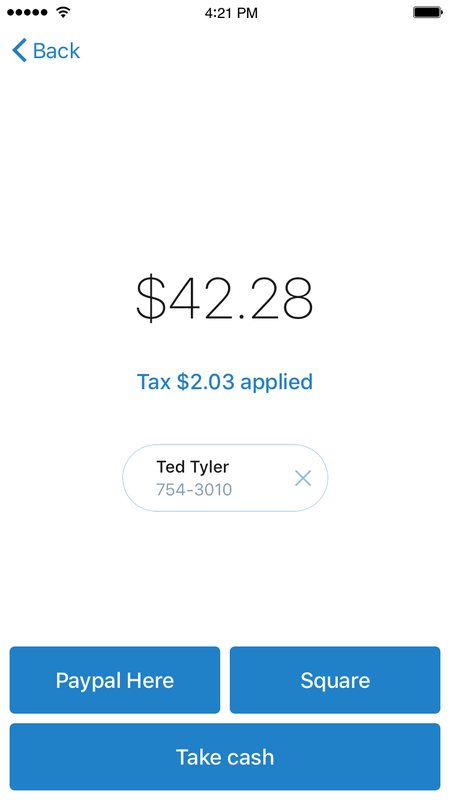 Accept payments directly from your Ecwid App (coming soon for Android). 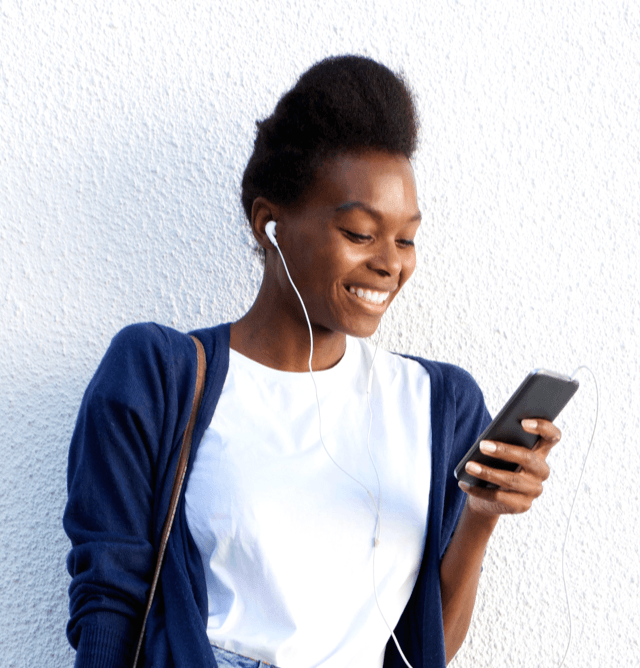 Ecwid Mobile makes it easy to manage your business when you are constantly on the move. 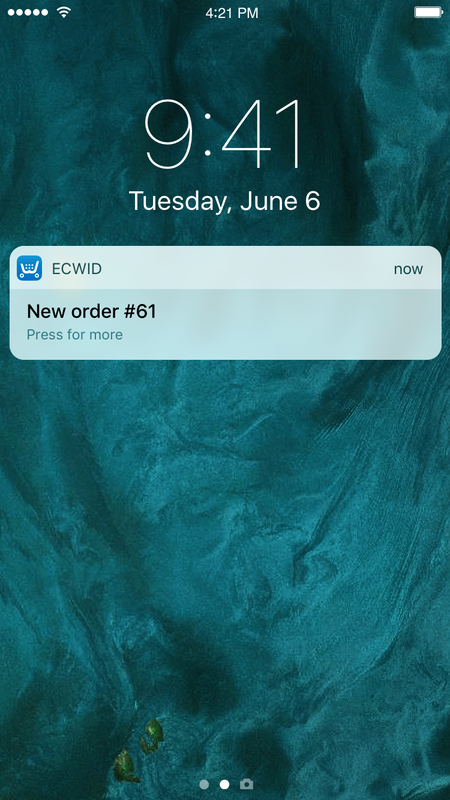 Ready to sell on the go with Ecwid Mobile?